Providing You with the Latest Security Technology at an Outstanding Price! Homeguard Security is a LOCALLY OWNED Security Alarm Company located in Des Moines, Iowa. We specialize in commercial and residential electronic security, 24 hour local alarm monitoring, digital surveillance TV, Electronic access control systems, burglar and fire alarm systems, and much more. 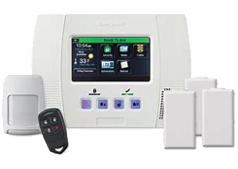 At Homeguard Security, we are experts at installing burglary alarm systems. Whether you are protecting your home and family, or your business, Homeguard is the right place to call for an alarm system. 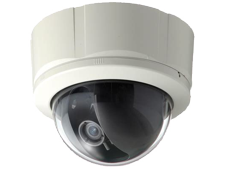 At Homeguard Security, we pride ourselves on our ability to provide commercial customers with surveillance equipment that gets the job done, but won’t break the bank. 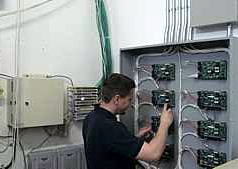 Homeguard Security does a large volume of subcontract electronic security installation and service work for a variety of large national contractors. We are fully certified and licensed in the state of Iowa. Homeguard Security was started by Mr.Leroy Wicks in 1987 and has been keeping Central Iowans safe ever since. Because we are a local company without a large infrastructure to support, we can bring you great prices for our outstanding products and services. If you are looking for a company that recognizes your name when you call, Homeguard Security is for you. We provide a personal service that is hard to find these days. No phone trees or constantly revolving cadre of inexperienced sales people here! Everyone at Homeguard Security is Certified by either the National Burgular and Fire Alarm Association or NICET, (National Institute of Certified Engineering Technologies) and, licensed by the State of Iowa . Everyone has been fingerprinted and had an FBI background check during this process. Our staff has many years of experience and the technical training and know how to execute your project in a very professional manner! © 2015 - 2019 Homeguard Security Services, All rights reserved. Page Summary: Homeguard Security offers home security systems, home surveillance systems, alarm system and surveillance systems. Products such as surveillance equipment, cctv camera, home monitoring system as well as security cameras for home are also part of the scope of our business. We also specialize in fire alarm systems, home alarms in Des Moines, Central Iowa, Ankeny as well as Urbandale. Other areas we serve include Altoona IA, Johnston, Clive and Grimes. We also service Windsor Heights, Norwalk and beyond.